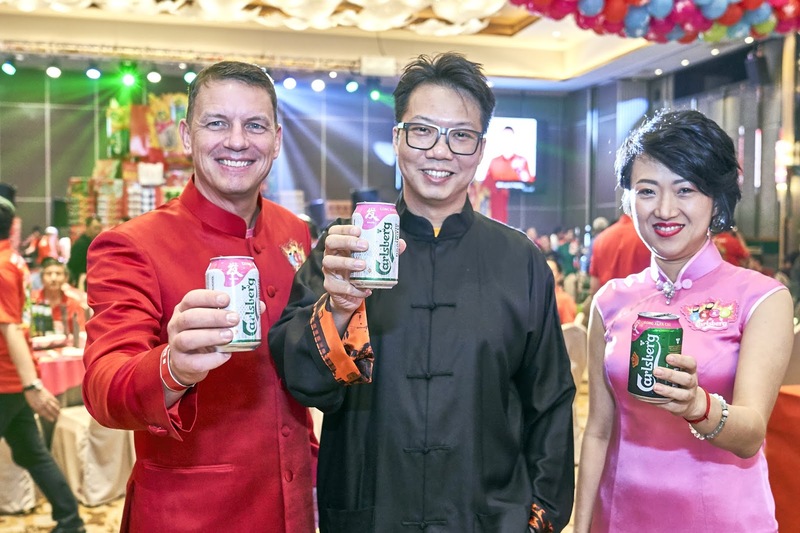 Managing Director Lars Lehmann, Chairman Datuk William Toh flanked by the management team of Carlsberg Malaysia officiated Carlsberg’s CNY campaign “Prosperity Begins With A POP!” which runs till 17 February 2019 nationwide. Carlsberg Malaysia’s 2019 Chinese New Year campaign kicked off with a grand opening dinner on the 8th January 2019 at the Hao Xiang Chi (HXC) Grand Ballroom in ICC Pudu. 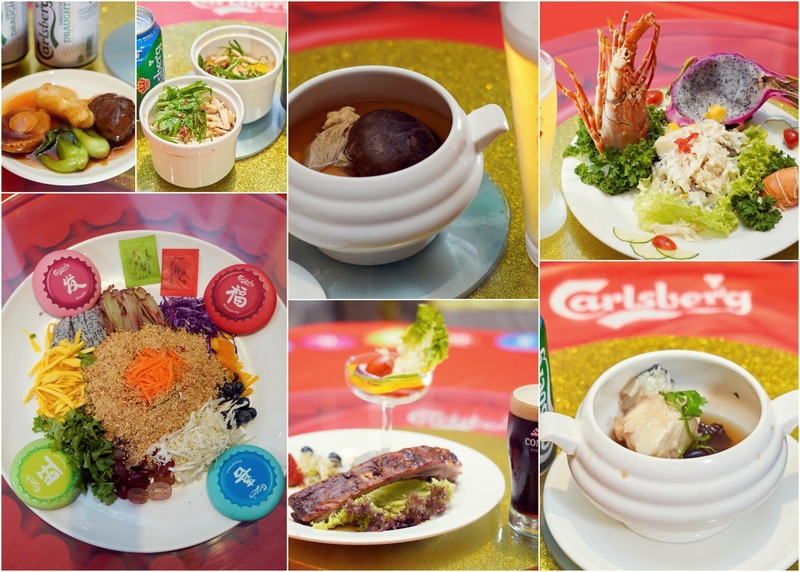 We feasted on beer infused CNY-themed dishes! Hic. Themed “Prosperity Begins with a POP!” wishing us an abundance of Prosperity, Happiness, Wealth and Good Luck in vibrant red, green, pink and blue colours across its limited-edition packaging, promotions and campaign activities. Joey Yap wishes youy luck you luck everyone luck! 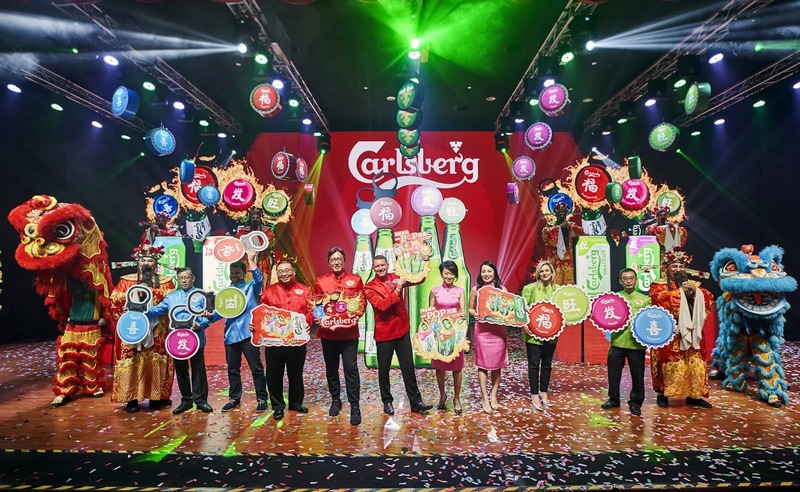 By now, the CNY Carlsberg festive promo would also be carried out across pubs, restaurants, food courts, coffee shops as well as super-and-hypermarkets. On top of that and back by popular demand for its third consecutive year is the “Probably The Best CNY Shopping Experience” where you have the opportunity of winning the Grand Prize of a trolley full of groceries paid for by Carlsberg. There are lots more of prizes to be won, like the e-mahjong table set, angpows, all their range of beers - check out their facebook or website (link above) for more. My prediction? 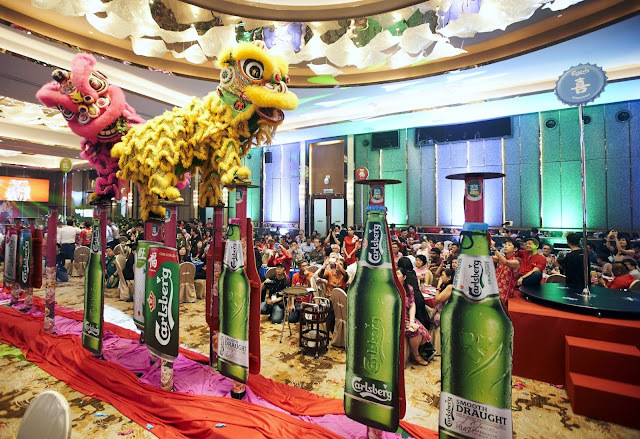 It is going to to be a hot Chinese New Year, so everyone's going to be drinking a lot! Ong Ahhhhhh! Gong xi fa chai everyone!